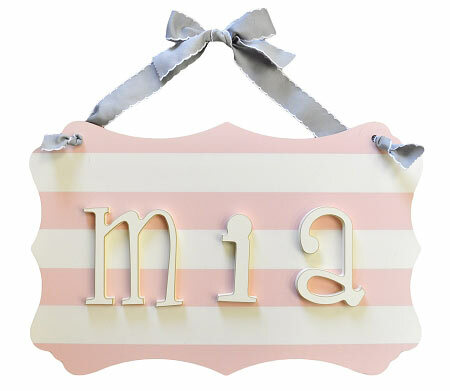 Our whimsically Wooden Stripe Name Plaque will add personalization to any room. 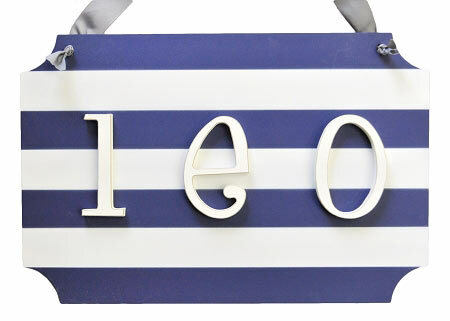 Choose from Pink Stripe, Gray Stripe or Navy Blue Stripe, with your choice of ribbon. 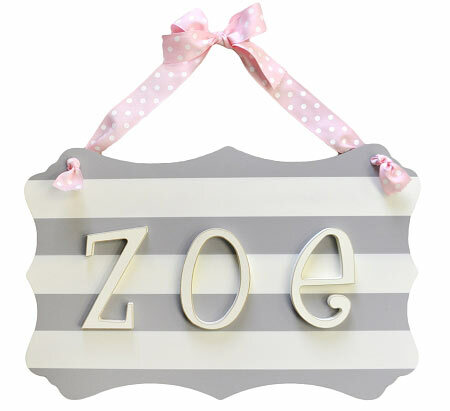 Because name plaque orders are custom made for you, please allow an extra 1-2 weeks for delivery.